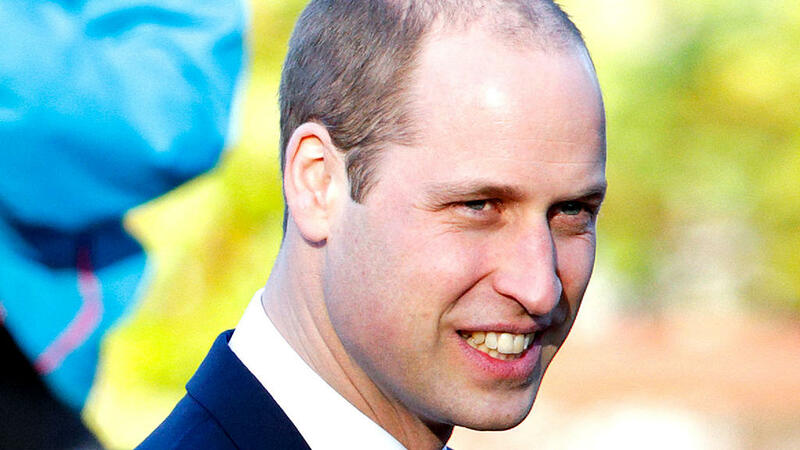 It was reported earlier this month that Britain’s Prince William may be considering getting a hair transplant. The Prince – like most men who find that a large part of their hair has gradually disappeared over the years – reportedly suffers from androgenic alopecia, and has been looking for a way to halt it for some time now. Should the Prince decide to go ahead with a transplant, he would likely be advised to pursue a six-month course of medication beforehand, consisting of licensed drugs such as Aindeem, produced by the pharmaceutical company Actavis, and Rogaine, produced by Johnson & Johnson. The active ingredient of Aindeem is finasteride, which has been found to suppress the underlying cause of hair thinning and balding in men – namely, the damage done to hair follicles by dihydrotestosterone (DHT). The level of success a man experiences with finasteride (the drug has been shown to be ineffective for women) can depend on their level of hair loss when they start treatment, which means it would probably be more of an exercise in damage-limitation for Prince William. Minoxidil, first branded as Rogaine, is an over-the-counter topical medication (in the US and UK – in some countries you may need a prescription), which was developed to slow balding and promote regrowth. shown to stimulate regrowth of hair within 6 months, in 40% of those who take it. While 40% might not sound all that great in terms of overall success, it’s certainly better than nothing. Find out more about how long minoxidil takes to see results here. His Royal Highness would need to increase his hair count to its maximum potential before going for a transplant, in order to give the surgeon more to work with. He may even be so happy with the results of the medication that he forgoes the transplant altogether. Learn more about which works best, 5% or 10% minoxidil here. There are, of course, other FDA-approved products which are non-topical, and can be used to boost hair growth. I recently wrote an article my own recipes for a hair growth tonics. Simply boil the herbs and filter the liquid, which you then use to rinse your hair before drying naturally. It allows patients to avoid undergoing strip harvesting of hair, which can leave scarring and requires a long recovery period. Although the ARTAS system struggles to identify light-colored hair, this doesn’t mean the procedure is nonviable for the prince. Men with white or light hair are simply told to dye their hair a darker color before surgery. Taking medication for six months and going in for surgery are not spur-of-the-moment decisions, yet Prince William may regret having hesitated for so long in seeking treatment for his hair loss. All three of the treatments mentioned here are thought to have a higher chance of success when alopecia has been identified early. Nonetheless, there are success stories out there – the UK’s Daily Telegraph ran a feature on James Draper – also British and just a couple years younger than Prince William – who has successfully regrown all of his lost hair. Even his barber, he claims, can’t tell that his hair has been transplanted. I have a question about azelaic acid. So currently i’m using a dermaroller and minoxidil 2%. I asked my pharmacy about azelaic acid and told me that they have a 20% creme. Can i use this creme for my hair ? Or is it to high ? I wouldn’t recommend using any chemicals on your hair. I personally only use natural oils and teas on my hair (since the long term damage from chemicals can aggravate hair loss.) Join the email list and you’ll receive a bonus ebook on which oils to use that are clinically proven to be more effective than minoxidil.